Stefan has been playing around with software development since the early 90’s plotting fractals and building games using BASIC and PASCAL. He got a solid theoretical foundation during his BS in Computer Science at Georgia Institute of Technology, where he graduated with honors. Before joining MentorMate, Stefan spent several years at US and European custom software development companies, participating in the full life cycle of planning, building, and delivering commercial software solutions. During his five years at MentorMate, Stefan has been responsible for the relationship with one of the company’s largest clients. 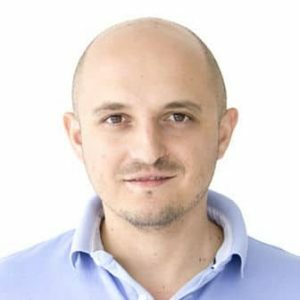 His role includes everything from acquiring and on-boarding talent, to architecting and building software solutions with millions of daily users, to leading distributed teams all around the world. Stefan’s latest gigs include a large-scale migration of a complex advertising platform to a NoSQL database and leading a team, developing an analytics solution using state-of-the-art data science algorithms. In his spare time, Stefan enjoys making his baby daughter laugh, hiking the beautiful Bulgarian mountains, and traveling around the world.